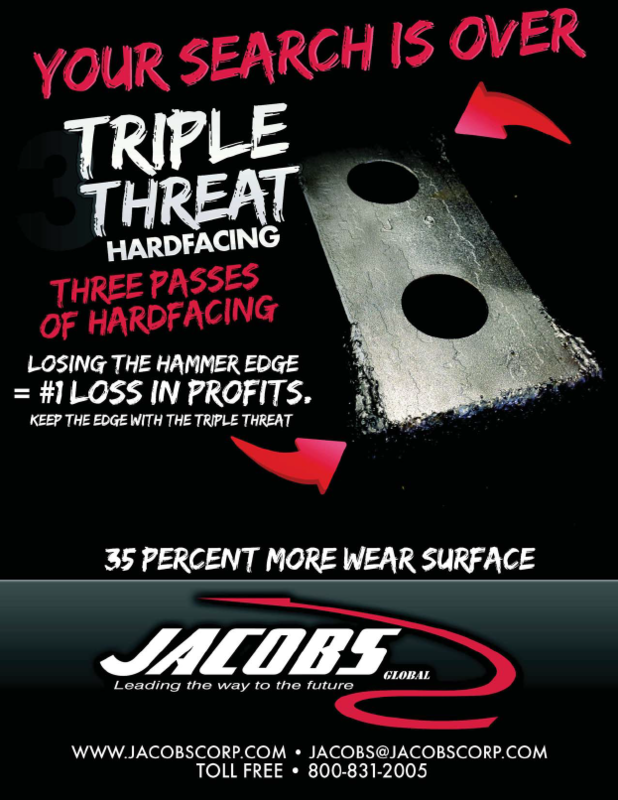 Jacobs Corporation provides replacement hammers for the Rendering Industry including Mighty Samson (Ottinger Machine) and Titus (Dupps) Hammer Mills. 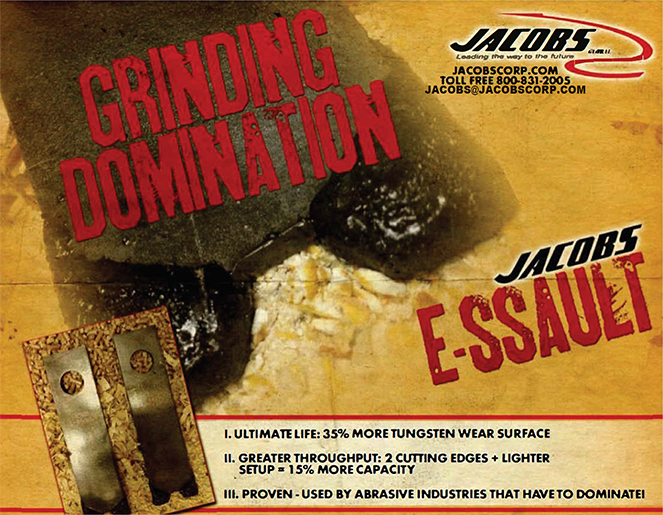 The Edge Hammer is Jacob’s premium option for animal byproduct processing. This hammer was engineered with Pocket Hard-Facing allowing multiple passes of tungsten carbide resulting in a sharped edge and a longer wearing Hammer. Pictured above are Edge Hammers that were in a plant for 5 weeks. This is 2-3 weeks longer than normally operating time. Outstanding results! 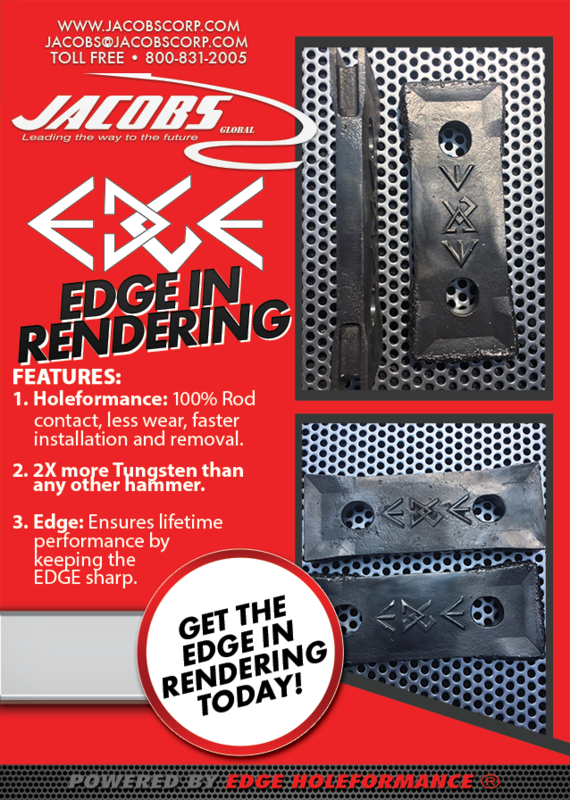 Jacobs offers standard Alloy Hammers as well as our premium Edge Hammer for Rendering operations. 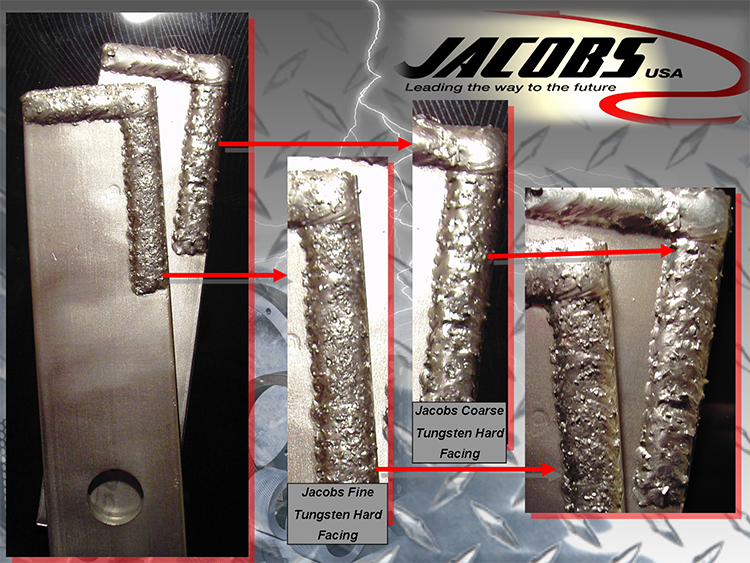 Our Alloy Hammers out perform due to the EXACT placement and distribution of the tungsten particles during the manufacturing process done only using Jacob's specialized equipment and technical knowledge. 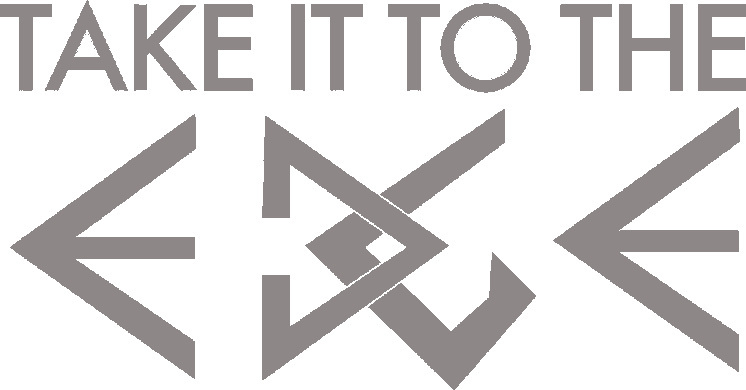 Jacob’s takes an electro-scan and picture of every lot of our hammers to ensure they have the most advanced and uniform tungsten carbide distribution produced. Jacob’s hammers are manufactured specifically for high-performance and well-operated Rendering facilities.